Trying to have the patience of Job is a job for sure. I am learning this right now, but a good friend of mine told me this week something I have forgotten. She said, “There is always a test before the testimony. Well, it hit me that my daughter will have a heck of a testimony to give honor to God for the great thing He has done in her life. She has gone through several surgeries on her eye, and now we are trusting God and believing. In reading Job, I saw that God trusted Job enough to know that his servant would never fall away from Him. When satan asked God to let him test the trueness of Job, God allowed him to test Job. But, God said you cannot take his life. But stretch out your hand and strike his flesh and bones, and he will surely curse you to your face. The LORD said to Satan, Very well, then, he is in your hands; but you must spare his life (Job 2:5-6). As we all know the story, Job lost everything he had, all but a big mouth wife and three good for nothing friends. And in the end if Job had not prayed for his friends, blessing his friends, God would have taken wrath against them. 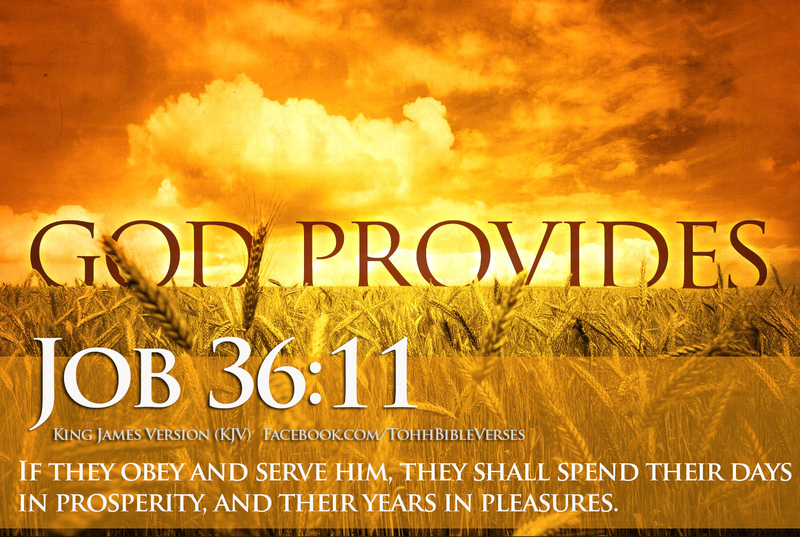 But Job still have compassion on them, and pleaded to God for them. Job’s friends talk bad against Job and against God. But, Job was a Godly man and did not want harm to come to his friends. Job said,”But he knoweth the way that I take: when he hath tried me, I shall come forth as gold,” JOB 23:10. Job was saying, My faith will be tried. How? Will I obey under extreme circumstances? Will I show love to my brethren even though they do not show love to me? The Lord allows that trial to try our faith so we have proof of the obedience of faith. I will tell you now, sometimes my faith is not where is should be, but that does not stop me from seeking God, for I know He is the finisher of my faith. I can hear you know, Pastor Pat you pray for people, do you not have the faith to know God will heal them? Hey, I do what God tells me to do. I Pray. It is not my faith that makes a person hold, it is their faith and the grace of God above. I just must be faithful to what God has call me to do. And yes, I know God heals and will continue to do miracles in our lives. God sent His Son Jesus to died on the cross for us. He died so we might live. Jesus told us in John chapter 14 great promises and rules to follow. He was giving us His Power of Attorney, yes, His POA to lay hands on one another and pray in Jesus Name, and whatever the need be would be accomplished in them. Remember, not us doing it, we are just the vessel He is using to give honor and praise to His Father in Heaven. 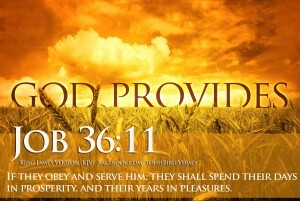 But we must be obedient. I also know God is in control of our lives. That is why we have the book of Job, to show us that there are reasons for and purposes in these trials and sufferings that we do not see. Job could not see what was going on behind the scenes, and neither can we. And yet God knows. He has a purpose, and it is a proper and right purpose that will end up manifesting more fully the love and compassion of His heart. The test of every trial is always to this end. And God will never leave or forsake you. He would not have allowed this path you are walking if He did not know you were strong enough to handle it. In other words He is kicking the old devil in the face and showing him that you are steadfast. This should show you how important you are to God. So, now I asked you this very important question? Are you doing the job of Job? It maybe hard, but the pay and benefits in the end will be worth it all. Just stand still and know God is God. Unless otherwise stated, all content on this site is © 1996 – 2015 by Coffee With Pat. Please do not take any of the graphics or written content without written permission. 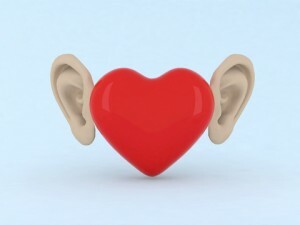 Do you have a listening heart? As a Certified Licensed Counselor, I learned fast to listen with my heart and not just my ears. When you listen with just your ears, you hear what is being said and then your mind starts thinking of things you may have gone though, and you stop listening, because you cannot wait until the person pauses long enough so you can start talking and soon you are telling your life’s story, and not listening to the one that you are counseling. First, the person talking needs to be heard. They need words of wisdom and spiritual advice. They do not need to be beaten down and told that they are awful for having problems or sickness. And yes, they may NOT even need Bible Verses to slap them in the face. (Yes, the time for God’s word will come, in God’s timing. And if they, for example, they tell you that they lost an eyelash, they do not need to hear that your boo boo is bigger, that you lost two eyelashes. I have visited the sick in the hospitals and persons in Nursing Homes, and I will tell you now, they do not want to hear that you had the same thing or bigger happen to you. They want you to share hope, and faith with them. If you are visiting in the hospital make your visits short. The patient does not feel like talking. And if they want to talk, you sit there and listen, because they are needing to share their concerns, not listen to yours. They need a listening heart, compassion, love and sometimes tough love, but they do not need to hear that your problems are bigger then theirs. They do not need to hear about your problems at all. Yes, sometimes you need to just listen with not only your ears, but, your heart. I promise you that one day you will get to share your testimony and how you made it, when the time is right. But, again, sometimes it is best to just listen. You will find out more, my just being a listener. See, I do not know it all, and I never will. But, I have known people whom have an answer for everything. If you asked my advice and God has given me wisdom and knowledge to share, I will share my thoughts with you. If I do not have an answer, I will tell you, I do not know, but, give me a couple of days and I will see if I can find the answer to your question. But, I will try my hardest to listen to a person or persons when because they have entrusted their thoughts, heart and soul with me.